For 2017 i have a reason to build a speaker amp taking some suggestions. 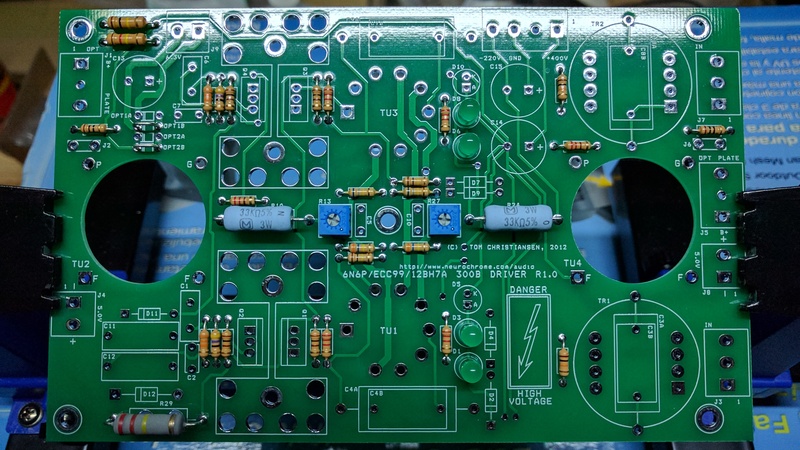 I was going to try the elekit stuff, but i really liked the modular nature of this and flexibility to adapt the driver board for 300b, 45, or 2a3 tubes by just changing a few resistors and diodes. 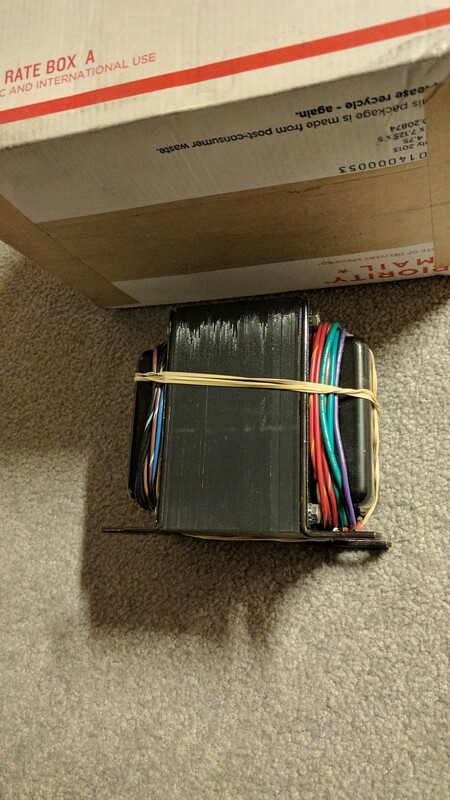 If i want to upgrade the DC filament heaters later, then i could find a AC filament boards for the driver tubes. The documentation and support for this kit is great. Fostex 208EZ sigma series full range 8". Due to space constraint's i cant go full blown horns, they just take up too much space so im going to have to settle for Japan compressed style. I understand the extension constraints and i might have to add super tweet and sub when/if i can afford way down the road. At ~96w/dB i should have enough power to get to real life SPL since this amp makes about 8w. I intend to put these in the corner of the room or against the wall, so back loaded or some sort of horn enclosure might make sense. 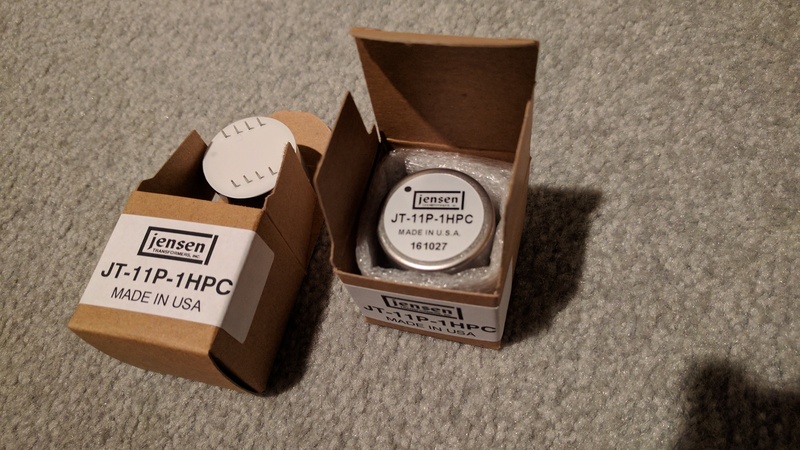 Input Transformers - Jensen Line Input (not capacitor coupled). Will be XLR balanced input only. Output Transformers - going to start with copper Electraprints 8ohm Z (single secondary) to match the fostex 208EZ drivers. Speaker only taps. Driver Tubes - EC88 family for now (default) as they seem to be plentiful and not too $. Output Tubes - 300b for now (default). I havent decided whether i should go EH Platinums, JJ, golden lions, or EML's. I just haven't heard them or NOS honestly and its $ that i could spend on super tweeters. Enclosure will probably be to reuse this old hifigalaxy pesante box that i have had laying around for years. Hopefully it's tall enough to fit everything. I think i want to put the transformers underneath the top plate if possible...i might not be able to fit the PT under. Envisioning to FPD a 6-10mm top plate to accommodate everything IEC, XLR inputs, and speaker taps to minimize CNC costs. brencho, taisserroots, Xecuter and 16 others like this. 6mm for a plate seems like overkill. Do you plan to use it as a heatsink too? 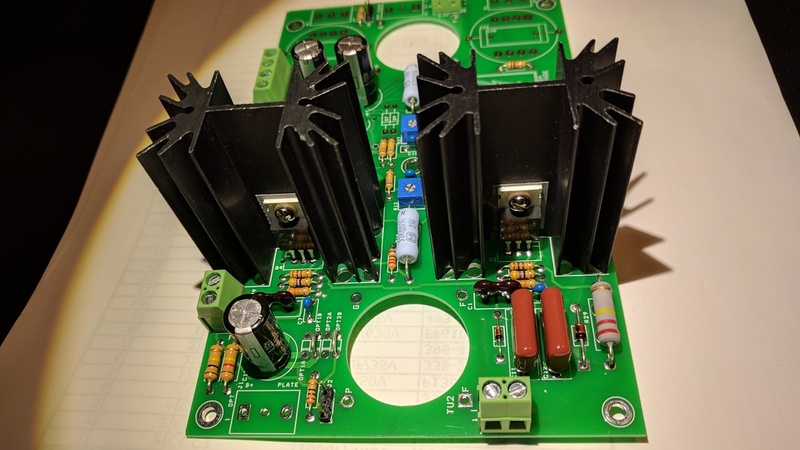 The plate will be supporting maybe 30lbs of iron transformers (on top or bottom) and serve as a heat sink for either the HV regulator and/or bridge rectifiers. I may need the meat for bolt threads and just to hold up everything. I don't think the bridge rectifiers actually get that hot based on the shared heat sink recommended. Thet being said, I do need to think about how thick I can go before I am required to cut recesses / reliefs / blind holes for the tube sockets and binding posts. I'm sure the plate is supporting a lot of weight. It's just the thickest I usually see is 1/8" even when there's a bunch of transformers and chokes. Going thicker to be safe seems like it would be fine, but you start running into problems with components like RCA jacks and the IEC inlet having difficulty fitting. Just be prepared to do a lot of milling with thick plate. Good progress. I think you should go with PCC88 drivers right off the bat, and transformers on top. 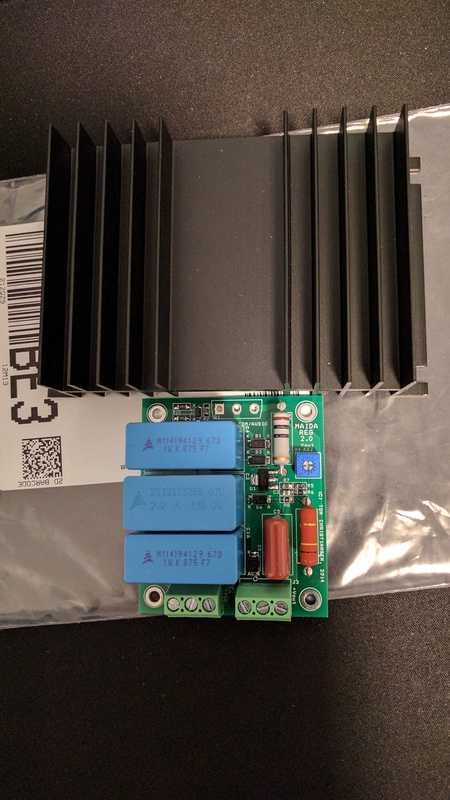 Glad to see you're tending a build thread for this awesome amp. I had wanted to, but life hasn't allowed for much free time the past ~6 months. I agree with @bazelio - I'd go straight to the ECC88 / PCC88 build configuration. Good (NOS) tubes cost more, but it's one of the better driver tubes classes out there (IMO). I've been running Gold Lions + Ediswans (drivers), and the sonics are stunning. Xecuter and jelt2359 like this. You can check with @tomchr about how hot it gets I guess. 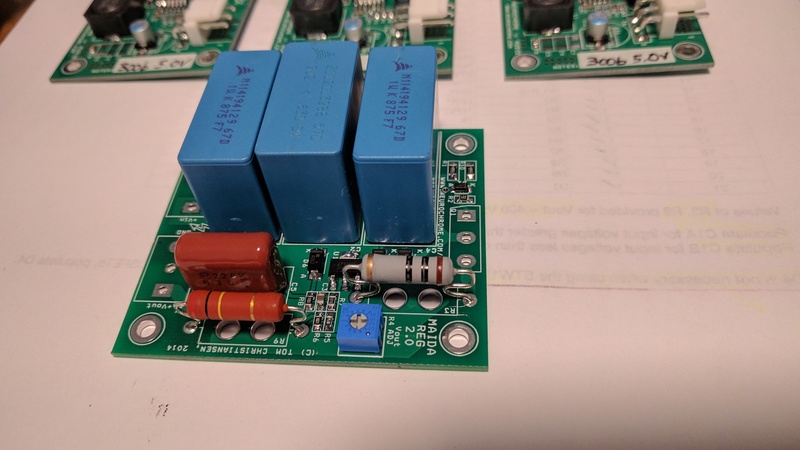 I ran the rectifiers on a small (40x150 mm, 1.6 mm thick) piece of aluminum. That was plenty of heat sinking. It got about lukewarm (40 ºC) when sitting at room temp. In the final build I made an aluminum angle big enough to hold the supply board and rectifiers. That's more than enough heat sinking. The 21st Century Maida Regulator will need a proper heat sink as it dissipates about 10 W. I recommend a heat sink with a thermal resistance of 2.5-3 K/W or below. For tube sockets, i ordered some Nexus Music ones on ebay...the BOM didn't specify PCB or chassis mount. I hope these work. Yamamoto sockets are like $40 a piece. Those are sockets for ballers. 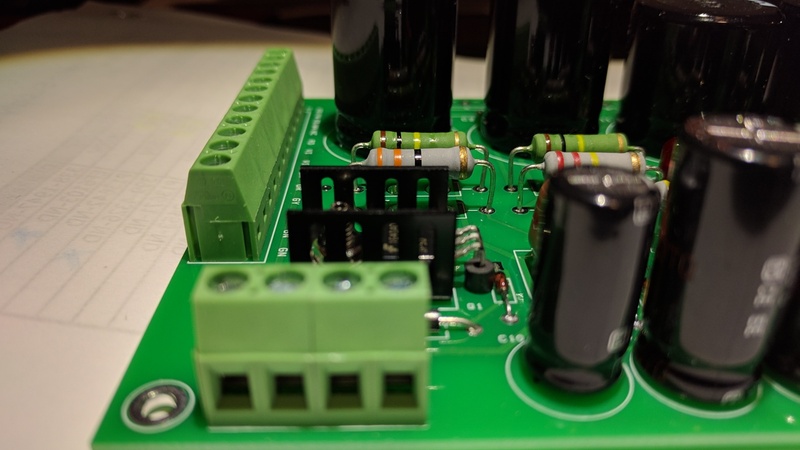 You're gonna want pcb mount 9pin sockets, unless you're good with flying wires. My friend luke's been working on a case for mine. He's one hella artistic dude, and I've given him freedom design wise. We chose quilted birds eye and purple heart. He's going with a very organic look, which I find very pleasing. Here's a snap of his work in progress - next step is to contour the sides. The volume knob will be turned purple heart. Xecuter, shipsupt, FlySweep and 6 others like this. I kid I kid, is the volume knob dead centre in the region where the contoured purple heart is? Looks good so far. Yup, dead center, in the contoured PH. I'm helping Luke out on the back channel. He had a couple of electromechanical questions regarding this build. He is indeed very creative and his woodworking skills are amazing. I'm looking forward to seeing this build come together. Thanks for help Tom; hugely appreciated by both of us! Yea, its been a blast to watch him work. I know we're both geeked to have more DG300B's in the wild. As soon as mine's in the case and transportable, the Denver friends will get a chance to check out this awesome amp. @Jh4db536 - you chose well! Still waiting for the opt to get wound. I guess electraprint is backlogged from the holidays or that's just normal business for a niche product. I must accumulate all these critical parts so I can plan the layout. I'm comfortable that I'll be able to use the old pesante enclosure I had sitting around forever given I mount transformers on top of the plate. Found a suitable heatsink for the Maida regulator. With .5" stand offs it should line up perfectly. 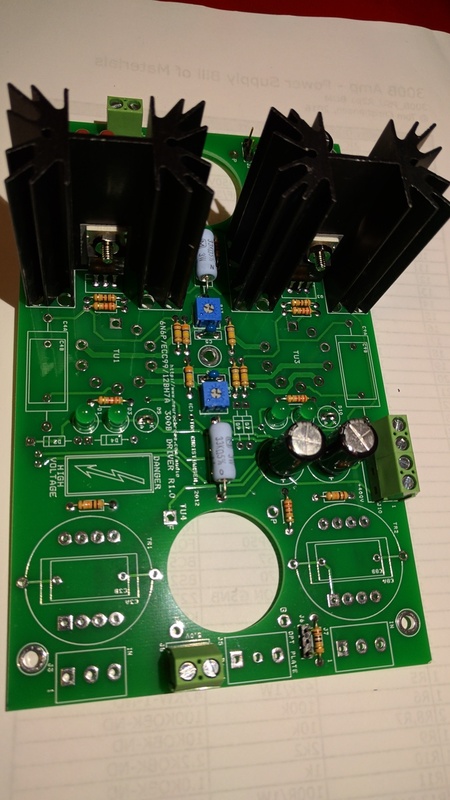 Possibly use a sub plate under the top plate to mount all the regulator and PSU board. Verified those 9 pin sockets I bought are not going to work (4 pins will). 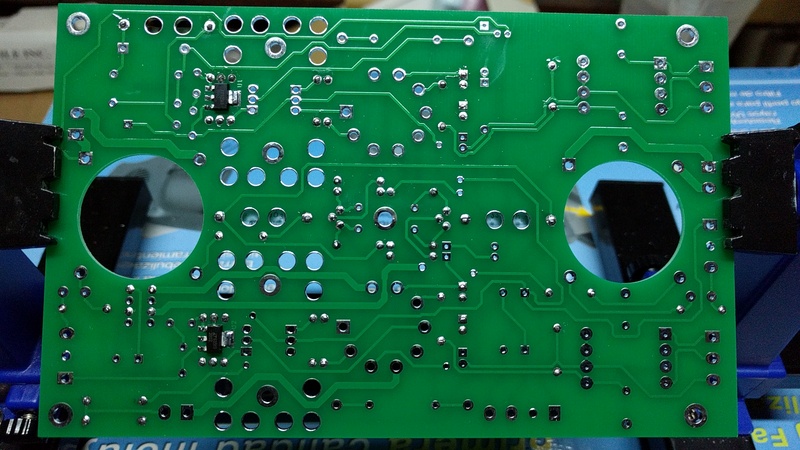 Have Belton and gold plated PCB mount ones on the way. Likely I will need a 4 to 5mm topplate for this to work as planned. Chose the speaker taps as well that I am satisfied with. Ehx gold grid...they were cheap. Might try white label US made PQ Amperex 6922 if I get a good price. 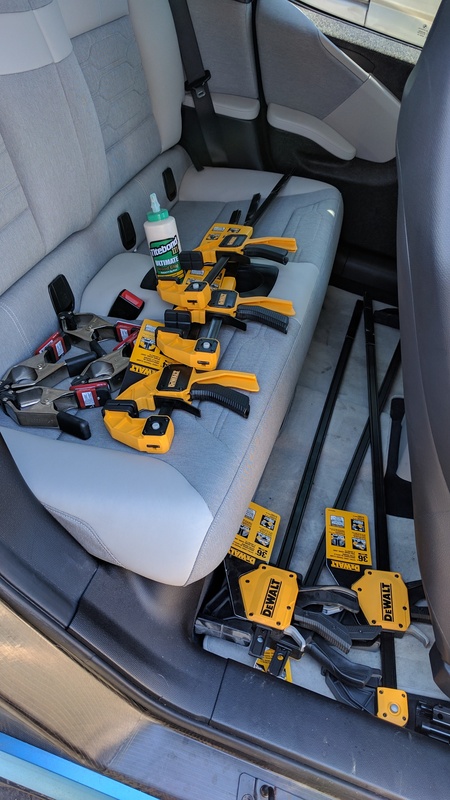 Bought all the tool to build cabinets last weekend. 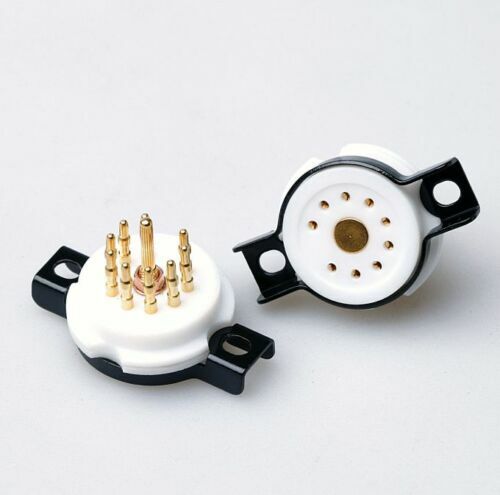 What would be the purpose of a subplate for mounting the regulator? I think you might consider mounting that Maida board at the rear of the chassis and the heatsink to the outside of the chassis rear panel. It'd also be very nice to have access to all bias pots and Vout adjustments through the top chassis plate. On the other hand, 5mm is beastly, and you may as well just use the top plate itself as the regulator's heatsink. It comes down to available real estate on the top plate and I might be over thinking and estimating the size and spacing of the transformers (which I don't have yet). I think my enclosure is larger than Tom's as well. At the end of the day, I am all for simplicity and keeping CNC costs concentrated in one plate. I can't wait until I can lay this out on the computer program and really get a grasp of the dimensions. Yeah, and even in the proper "T" formation, I think Jack will recommend around 3" edge to edge between transformers. 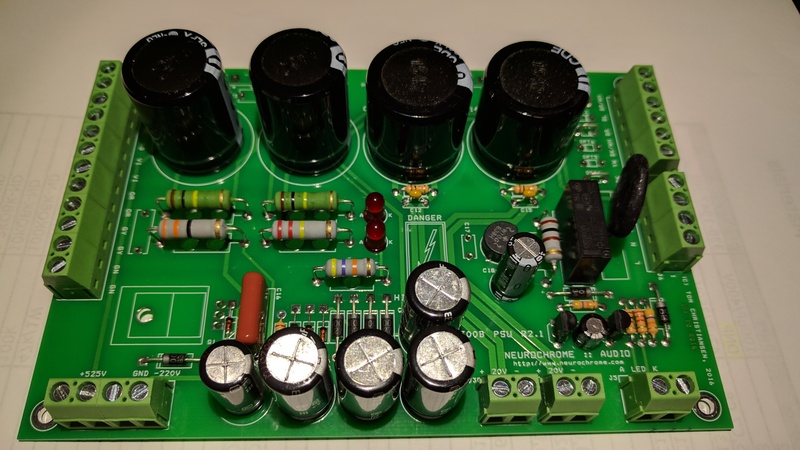 I would think the DG300B shown on Tom's site must have some hum? 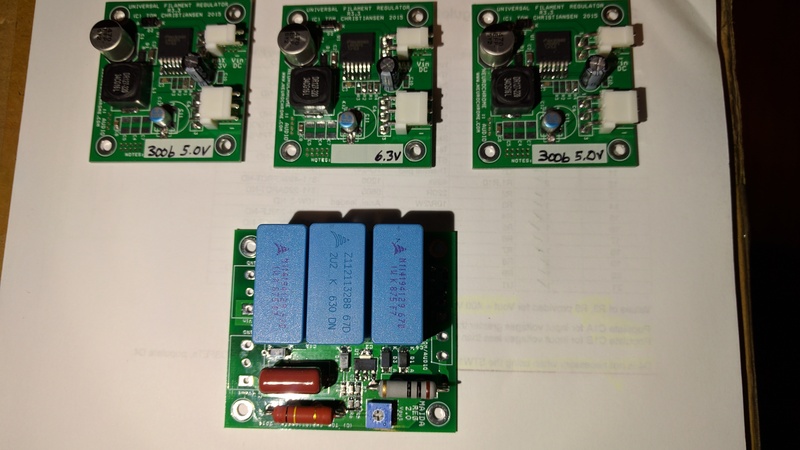 @tomchr did you test the power transformer to see what the spacing should be for the outputs nulling points and distance? Perforated aluminum could work well as a sub plate. No need to worry about holes. Even though you don't have transformers yet dimensions are usually still available to help with planning.